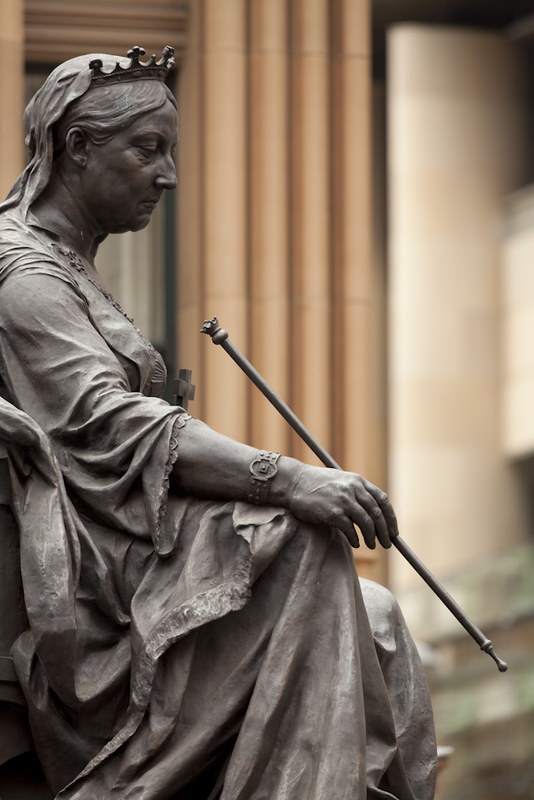 Standing three metres high, this bronze statue depicts Queen Victoria seated on a sandstone throne, atop a tall triangular sandstone pedestal. She is wearing a gown that falls in graceful folds over the top of the pedestal at the front, and a cloak that falls over the back. 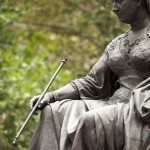 In her right hand, she holds a sceptre. 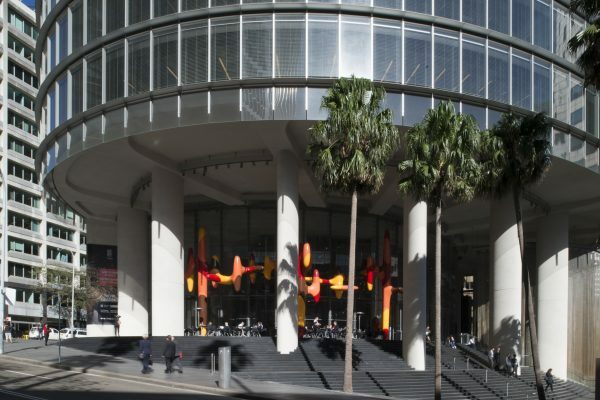 It is located in the Queen Victoria Building Plaza on the corner of George and Druitt Streets. 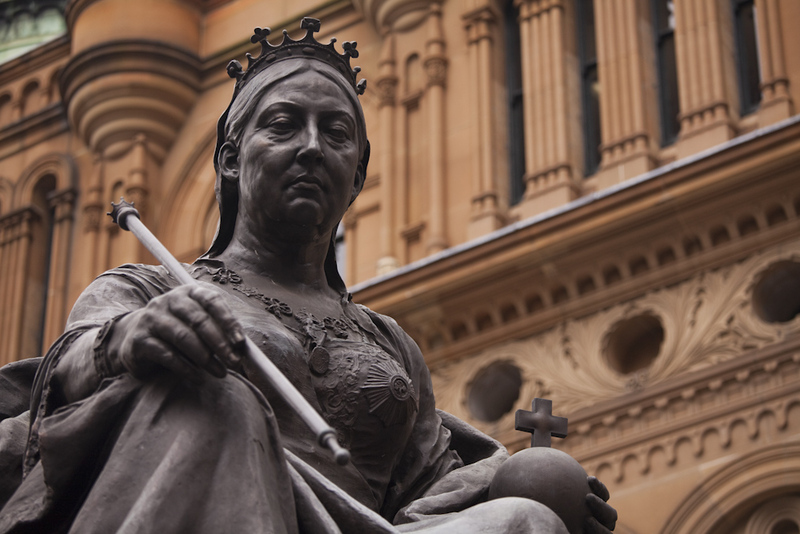 The statue was installed outside the front of the Queen Victoria Building during restorations in the 1980s. 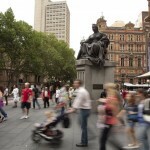 It provides a focal point for the Queen Victoria Square and also serves as a meeting place. 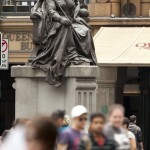 The Queen Victoria Building, originally known as the Queen Victoria Market Buildings, was built in the late 1800s and dedicated to Queen Victoria to commemorate her diamond jubilee. 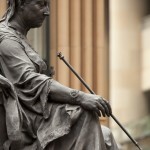 Sculptor John Hughes was born in Dublin in 1865 and died in 1941. He worked in Dublin and also, for a time, in Paris, as a sculptor of religious figures and groups, portraits, busts and bas-reliefs. He exhibited at the Royal Hibernian Academy from 1915-1945. 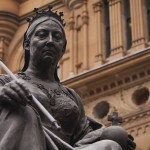 When the Queen Victoria Building was under restoration in the 1980s, the developers Ipoh Gardens decided in consultation with Sydney City Council that an exterior sculpture of Queen Victoria would be an appropriate addition to the building. 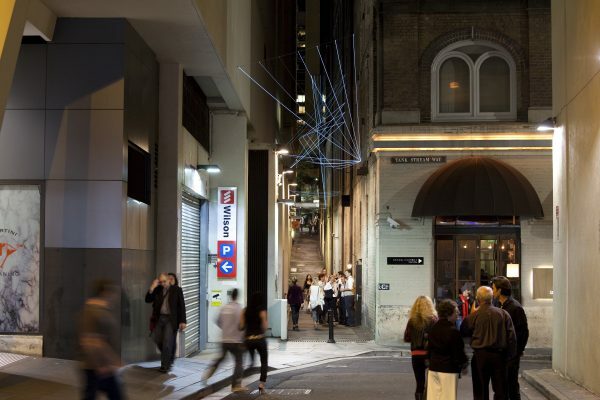 The proposed statue was to be located in the large area of open space at the Druitt Street end of the building. 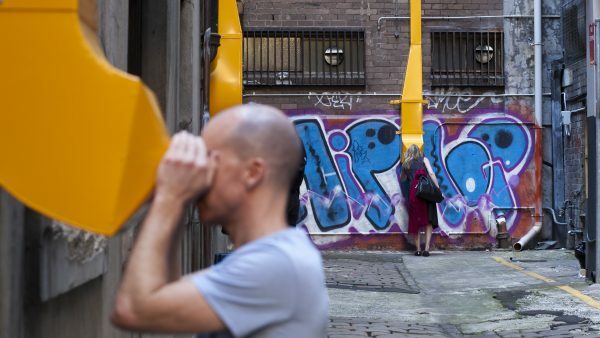 The hunt for a suitable statue began in 1983. 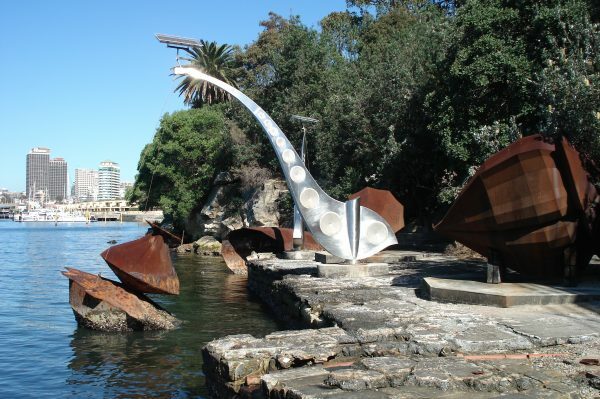 The project manager Neil Glasser toured the world searching India, Pakistan, South Yemen and Turkey for an appropriate sculpture. Although he located hundreds of suitable statues, Glasser encountered a general reluctance in each country to part with their statues. 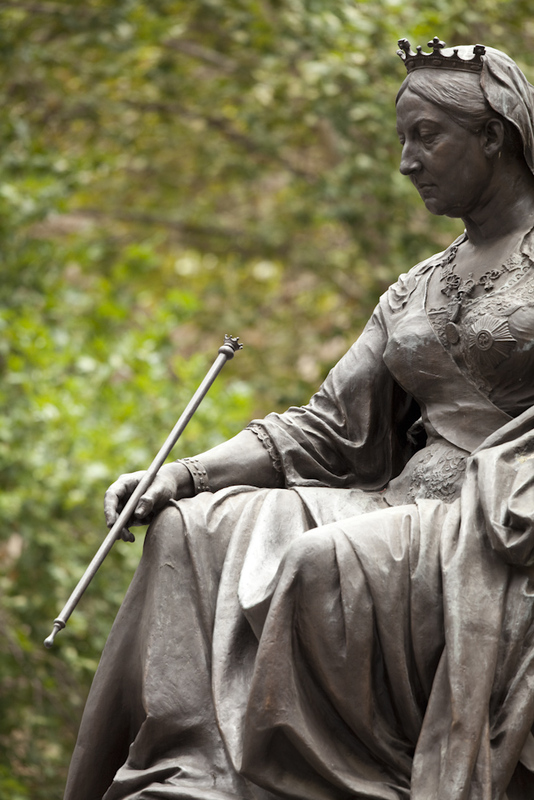 Late in 1985, Glasser’s search ended at a farmhouse in Dangan, Ireland, where a large statue of Queen Victoria was in storage since being removed from its original location in front of Leinster House, the seat of the Irish Parliament in Dublin. The statue had been the centrepiece of several sculptured figures and had occupied the position outside Leinster House from 1907 until the granting of Irish independence in 1947. Following negotiations including discussions within the Irish Cabinet, Ireland emerged as the only country willing to part with ‘the Queen’. 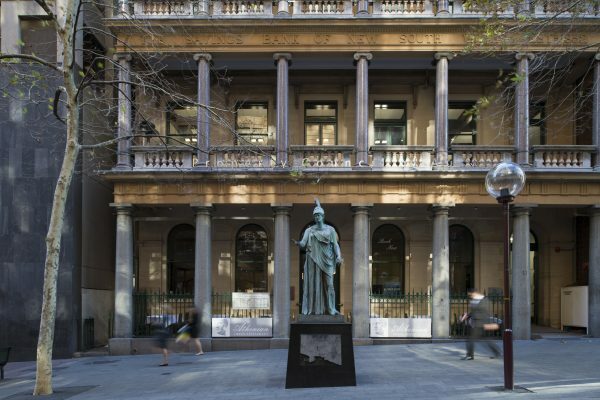 The statue was eventually offered to the City of Sydney as a gesture of goodwill from the Government and People of Ireland on a ‘loan until recalled’ basis. Due to its weight and size the statue departed Ireland on a ship. 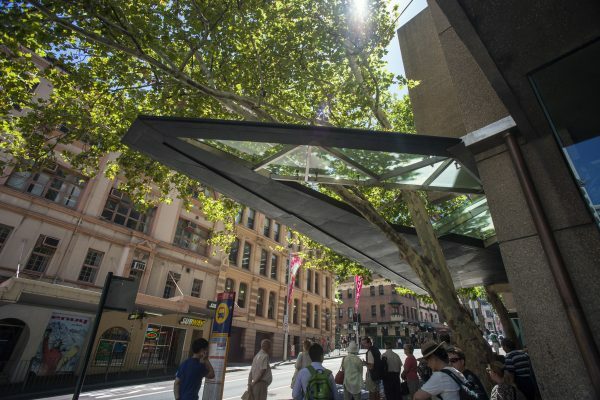 When it arrived in Sydney in November 1986, it underwent ‘a few minor renovations’ and was finally unveiled on a fine sandstone plinth on 20 December 1987. A plaque at the front of the pedestal reads: “At the request of the City of Sydney / This statue was presented by the / Government and people of Ireland / In a spirit of Goodwill and Friendship / Until 1947 it stood in front of Leinster House Dublin / The seat of the Irish Parliament / Sculptured by John Hughes RHA Dublin 1865-1941 / Unveiled on 20th December 1987 by Sir Eric Neal, Chief Commissioner / L.P. Carter O.B.E. / Town Clerk / Sir Nicholas Sheadie O.B.E. / Deputy Chief Commissioner / M. Norman Oakes A.O. / Commissioner”. 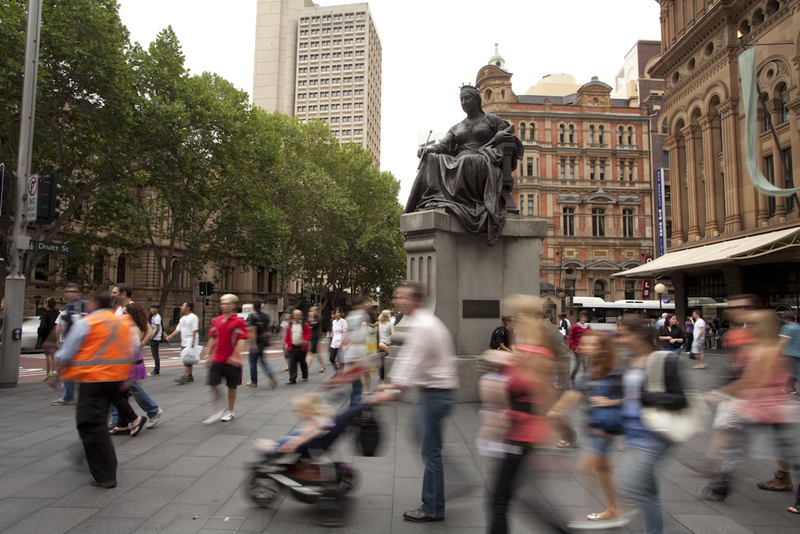 On the front panel facing George Street, a plaque reads: “This Plaque commemorates the visit to this site / By Her Majesty Queen Elizabeth II And / His Royal Highness the Duke of Edinburgh / On / The occasion of the Bicentenary of Australia / 4th May 1988”. 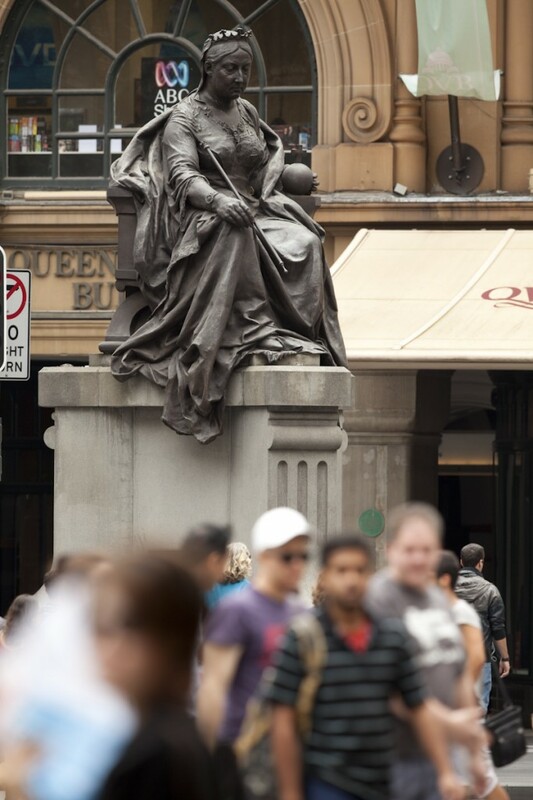 On the back panel facing the entrance to the QVB, a plaque reads: “This statue of Queen Victoria / Was located in Ireland / Acquired and Brought to Sydney by Neil Glasser / Director of Promotions / Queen Victoria Building 1983-1987”.